Feeling creative and inspired but don’t know where to start? Come learn the basics of this engaging craft. 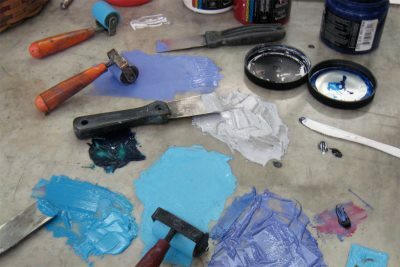 Linoleum block printing is a form of relief printing, the oldest, simplest and most direct approach to making an impression. 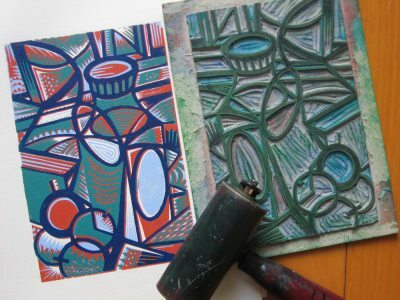 Hand-pulled prints are not reproductions as each impression is individually made from the same block or set of blocks which have first been designed and carved by the artist. The final design can be expressed in the areas cut away (negative) or on the remaining raised surface (positive) or in both. 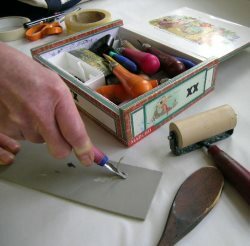 You will learn all aspects of the process … from handling the cutting tools through a series of explorative exercises to create various lines, textures and patterns … to designing, inking and printing your own images by hand.